Seven years after Tunisians fought to depose longtime dictator Zine El Abidine Ben Ali, a revolution that subsequently set the Arab Spring into motion, protests are once again being mobilized across the country. Every January since the 2011 Jasmine Revolution, demonstrations – rather than celebrations – have taken place throughout the nation. Recently on the seventh anniversary, Tunisians took to the streets to vent their anger over persistently high unemployment and institutionalized corruption, with many protestors shouting slogans such as “poverty and hunger have increased against the oppressed citizen,” and, “people are suffering in the countryside.” As Tunisians demanded change, authorities also responded with a heavy hand; leading to one death, dozens of injuries, and more than 800 arrests. 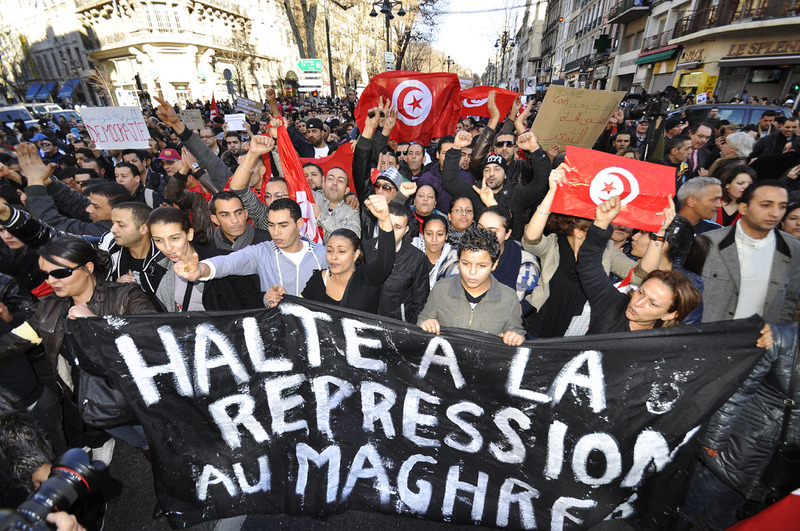 In 2011, Tunisia garnered international attention when mass demonstrations inspired the wave of Arab Uprisings that swept through countries such as Syria, Egypt and Libya. More specifically, the 2011 Jasmine Revolution began in part due to the self-immolation of fruit vendor Mohammed Bouazizi in Sidi Bouzid, Tunisia who faced mistreatment by police. Stemming from high levels of unemployment, political corruption and poor living standards, Bouazizi’s actions prompted the Tunisian masses to promote social justice and to overthrow Ben Ali’s twenty-three-year dictatorship. 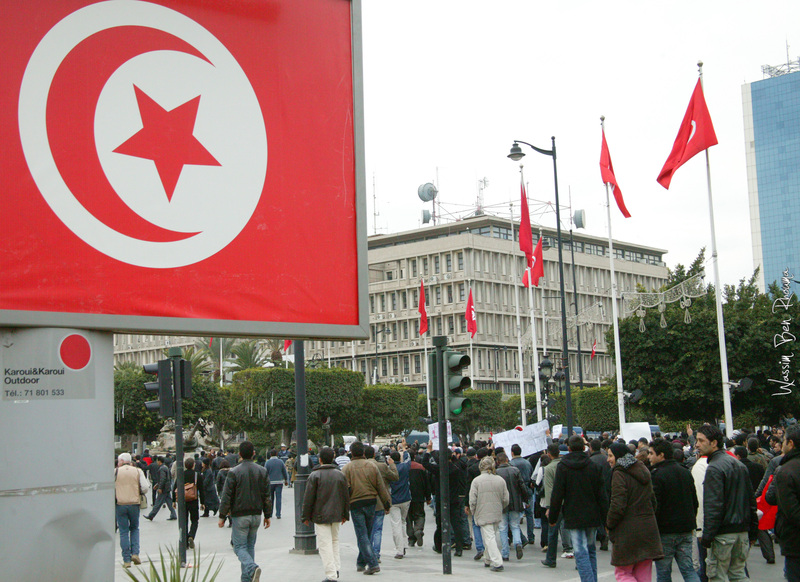 The democratic transition of Tunisia was hailed as a success amongst the Arab Uprisings and served as the model state for many aspiring Arab democratic movements. Academics and pundits from the international community have continued to hail Tunisia as the “lone bright spot in a region beset with civil wars, counterrevolutions, and open conflict.” According to the Human Rights Watch, however, the economic, political and humanitarian conditions in Tunisia have deteriorated since the 2011 Revolution. In an Arab Transformation survey conducted in 2014, the post-revolution hopes and expectations had turned to anger at the successive governments’ failure to fulfil promises of economic reform, employment opportunities, and reduced corruption. Despite Ben Ali’s overthrow, many policies that were apparent throughout his regime such as public spending cuts, and trade liberalization, continued to be implemented at the behest of international financial institutions and Western governments. 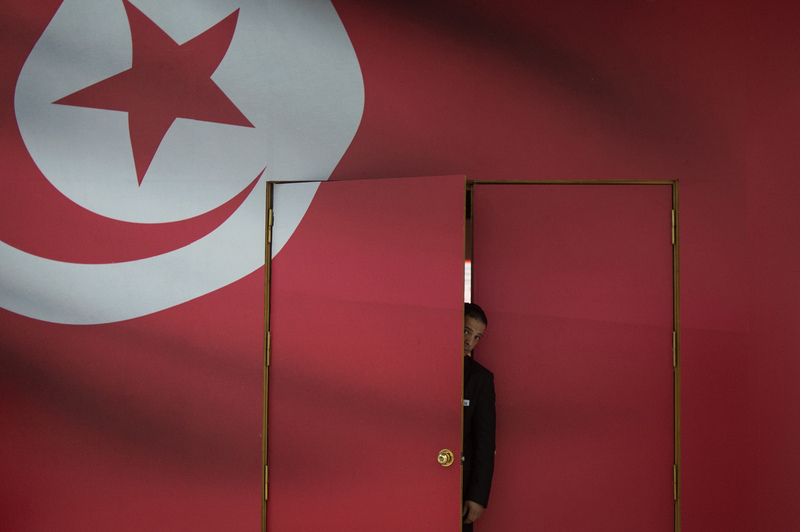 As a result, Tunisia has been plagued by rising government debt, a stagnant economy, and a heavy reliance on IMF development assistance and soft loans. From 2010 to 2016, the country’s public debt sharply increased from 39.2 percent to 60.6 percent, whereas the Tunisian dinar lost around 40 percent of its value to the US dollar. Following the wave of deadly terrorist attacks in 2015, Tunisia’s once thriving tourism industry also has yet to recover. For example, the country saw a 90-percent drop in British tourism after the attack in Sousse that resulted in the deaths of 30 UK tourists. Additionally, political uncertainty has contributed to a sharp decrease in foreign investment, leading to a trade deficit of USD 5.8 billion. Moreover, youth unemployment continues to remain at roughly 35 percent as specified by the UN’s International Labor Organization, and corruption in the public-sector continues to be heavily prominent. While the revolution centred around three slogans, namely, “freedom, work, and dignity,” many Tunisians feel they have been given only one of three. The number of Tunisians seeking employment has almost doubled since 2011, with current statistics estimating as much as 900,000 looking for work and nearly half of them being university graduates. Youth unemployment in Tunisia remains at 35 percent, leaving many frustrated and vulnerable to extremism or exodus. While the country seeks to cling onto its democratic gains, the revolutionary zeal that drove the Arab Spring remains unresolved and is flaring once again. Recently, a new movement titled Fesh Nestannew (What Are We Waiting For) called for a crackdown on corruption, more investment for young people who want to start businesses, and tax reforms. Organization campaigner Hamza Obeidi claimed that Tunisia “has not improved after the revolution because it is still based on policies since independence.” Obeidi shed light on the lack of change in the Tunisian political system by citing the 2017 Reconciliation Bill which involved the pardoning of former public officials during Ben Ali’s regime who were accused of corruption. 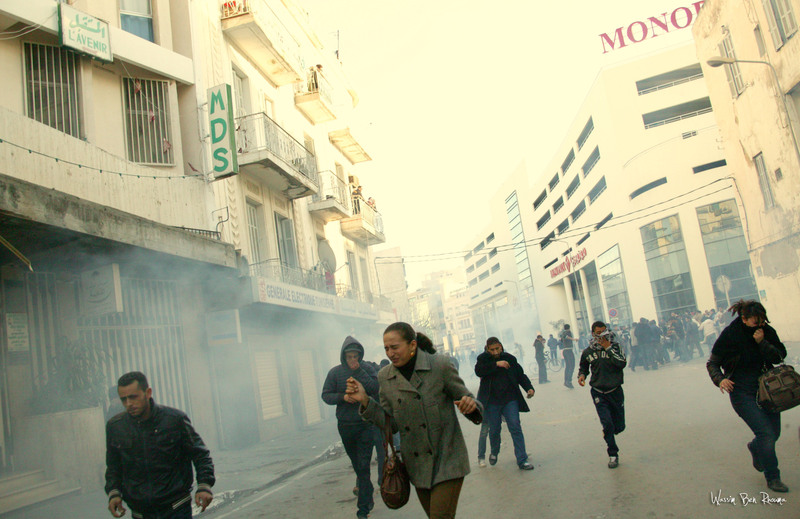 Every year since the 2011 revolution, Tunisians have taken to the streets to protest against issues such as high unemployment and corruption, with security forces resorting to the use of excessive force. International institutions and mainstream media continue to applaud Tunisia as a stable country in an unstable region, and often overlook the “social and political malaise behind the episodic unrest.” Ultimately, Tunisia continues to be unstable because it has failed to address the very issues that fuelled the 2011 revolution. In terms of economic solutions, measures such as implementing a redistributive tax system while tackling major issues of tax evasion, corruption, smuggling and parallel trading, should be considered. Tunisian economist Saidan Ezzdein believes that the country should invest in its infrastructure to bolster both domestic and foreign investment. Additionally, fulfilling democratic promises such as creating employment and guaranteeing social and economic rights should continue to remain of utmost importance.